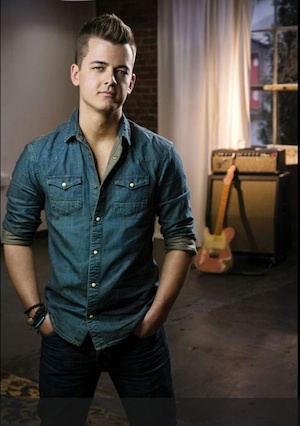 Still Working Music writer Chase Bryant will be hosting this year’s Words & Music program, a flagship education program by the Country Music Hall of Fame and Museum. The event will take place at 6 p.m. on Thursday, May 21, at the Country Music Hall of Fame and Museum’s Ford Theater. Click here for more information. 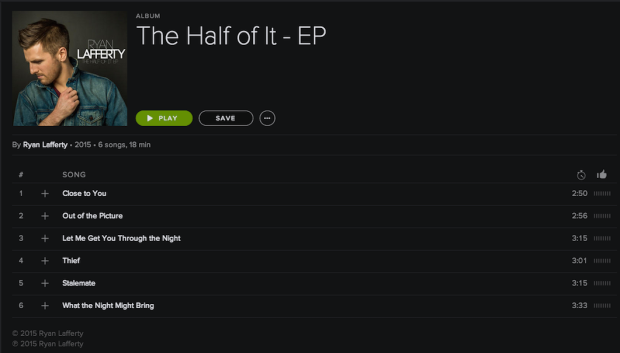 Congratulations to Ryan Lafferty on his new EP, The Half Of It!! 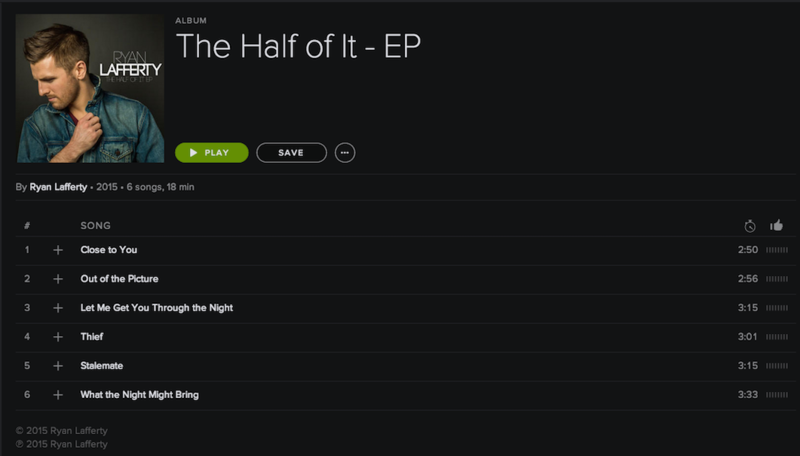 Ryan’s new EP, The Half Of It, is now available to stream exclusively on Spotify and his song, “Close to You,” from the EP is at the top of the Wild Country playlist! 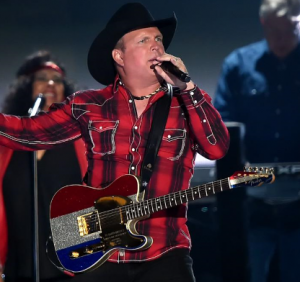 This weekend at the ACM Awards Garth Brooks performed “All American Kid’, a song written by Still Working Music writer Terry McBride along with Craig Campbell and Brice Long! Garth Brooks gave an emotional performance of “All American Kid” after being introduced by Taya Kyle, the widow of Chris Kyle (whose life was depicted in American Sniper). Click here to read more and watch the video of his performance. 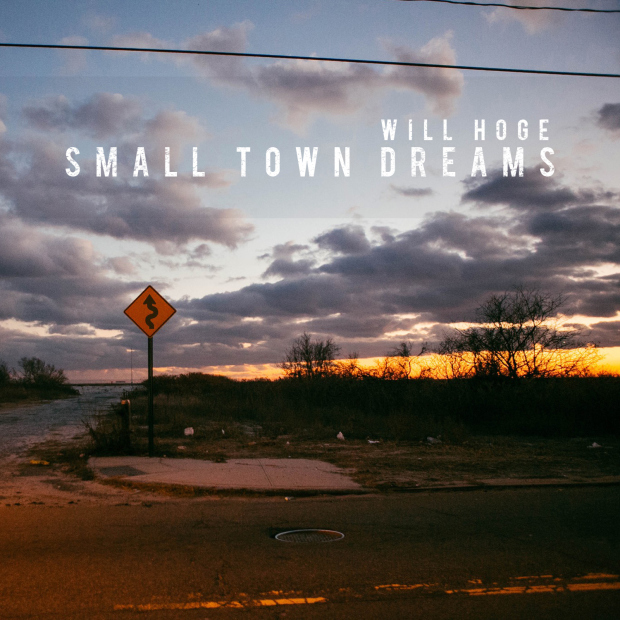 Will Hoge has recently released his 10th studio album, Small Town Dreams. The lead single of the album, “Middle Of Americia”, was co-written by Still Working Music’s writer Tommy Lee James, Will Hoge, and Jessi Alexander. Tommy Lee James also co-wrote the songs “Growing Up Around Here” (Tommy Lee James, Will Hoge, Brett Beavers), and “Just Up The Road” (Tommy Lee James, Will Hoge, Dylan Altman) on Small Town Dream. Will Hoge is now touring in support of his new album and has dates scheduled in Ala., N.C, and S.C. in the next week. Click here for more information. 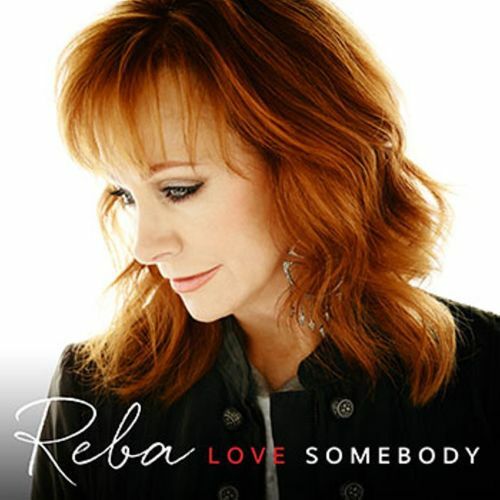 Congratulations to Tommy Lee James on his cuts on the new Reba McEntire album! “Love Somebody” was released today and Tommy’s cuts include “Just Like Them Horses” (written with Liz Hengber), “I’ll Go On” (written with Ella Mae Bowen), and “Livin’ Ain’t Killed Me Yet” (written with Laura Veltz). Chase Bryant’s “Little Bit Of You” Hits Radio! Chase Bryant’s follow up single “Little Bit Of You” impacted radio on March 30, 2015 with 38 first week adds! Go request this tune at your local radio stations that All Access refers to as “a definite hit for the upcoming summer months”. Listen to it here in his newly released lyric video, and go buy it on iTunes (along with the rest of his EP) by clicking on the below link! 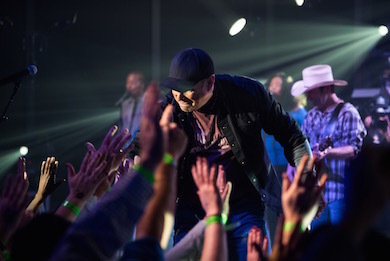 Garth Brooks preformed an intimate, full-band show at Nashville’s Marathon Music Works for CRS week this year. During the show, he honored US armed forces by welcoming them on stage while he sang Still Working writer, Terry McBride’s, song, “All American Comeback Kid.” Click here for more details about the show. Still Working Music writer/Red Bow artist, Chase Bryant, is hitting the road this summer opening up for Tim McGraw’s Shotgun Rider Tour along with Billy Currington. Click here to purchase your tickets now!